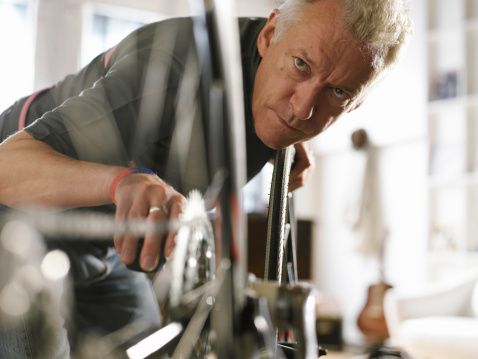 Dave was the most experienced bicycle mechanic in his area. He had run a successful workshop for 20 years. “Create a useful, information-rich site, and write pages that clearly and accurately describe your content,” the guidelines offered. Three months later, his site had received 0 visits from organic Google search. But why couldn’t Google see? Google has lost sight of what their users want when searching for local businesses: shops that offer good service, have high levels of expertise, good prices, and happy customers. However, Google has become so lost in the pursuit of penalising spam and rewarding “natural” SEO that they seem to have forgotten that the best business results for users sometimes aren’t the sites with the “best” SEO. Like Dave, we’re all trying to keep up with what SEO factors Google consider important. Links still play a vital role in getting a website to rank well in Google. But why is a business expected to go about creating content to receive natural links if they are in the business of creating a company that Google users would want to find in organic search results? Should Dave focus on bike links or web links? By rewarding business websites that have strong SEO signals which Google deems to be “natural”, Google may in fact be rewarding sites which spend an unnatural amount of time and resources on optimising their site on the internet. Thus, a bike mechanic who spends all their time trying to write link-friendly content would presumably have worse customer service and lower expertise. Such a business may therefore be less desirable to people who use Google. Google tries to convince us all that a good SEO strategy does not have to be expensive or time-consuming. However, by Googling just a handful of popular keywords, it quickly becomes clear that sites which devote time and money to SEO are achieving good rankings. On Google’s SEO guide page, it even makes suggestions on how to pick the right SEO specialist, making it seem a foregone conclusion that business owners always need to hire an SEO company to ‘do’ their SEO. Is paying someone to do your SEO natural? Businesses either need to pay an SEO specialist to do unnatural SEO on their behalf, or to spend time learning about website management, social media and PR themselves. Bike mechanic or content writer? By building a genuinely useful online resource, we’re told that Google will reward us with prominent search rankings. But would a bicycle repair shop really build an online cycling resource if Google was not watching? Does any business purely rely on ‘natural’ SEO to automatically happen? If they did, it would be SEO suicide. The message from Google is that it will only rank a bicycle repair shop highly if it also satisfies other algorithmic criteria which is completely outside the remit of somebody in the business of repairing bicycles. Maybe natural SEO isn’t so natural. When Interflora was penalised for shady SEO tactics, the Google employees who manually dished out the penalty undoubtedly assumed that they were doing the best thing for the quality of the search results – and that users would ultimately benefit. But during the period when Interflora’s penalty was in effect, did users really benefit from not seeing an Interflora SEO listing when they searched for ‘flower delivery’? Why would a user looking to send flowers to a loved one not wish to see a listing for the UK’s largest flower delivery company? Why would a company’s shady SEO tactics have any bearing on whether a user would find the actual flower delivery service useful? When a user searches for bicycle repair, they probably just want listings for good bicycle repair shops. Whether or not the repair shops have pages and pages of useful content which is highly shared can be completely irrelevant. In this sense, in the mist of fighting battle against web spam, Google has lost sight of what many users of their search engine want.